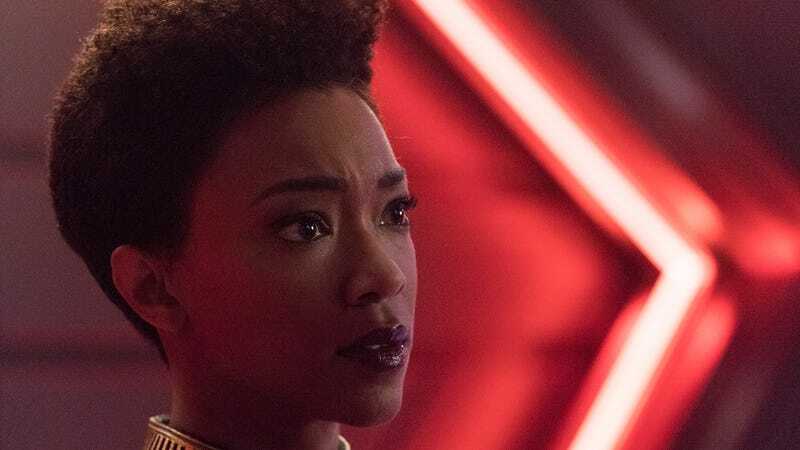 Poor ol’ Star Trek: Discovery: Despite moderately positive critical response to its first season, the CBS All Access series just can’t seem to get its production parents to stick around, with Variety reporting that showrunners Aaron Harberts and Gretchen J. Berg are now departing the series in the midst of filming for its upcoming second season. Berg and Harberts’ coordinated skedaddle comes not all that long after Bryan Fuller, the guy who helped give the series its first gasps of life, abandoned and/or was quietly fired from the show, too. It’s enough to make you worry that a freshman space series might develop some sort of personality-warping complex. There’s no word yet on exactly what happened to cause Harberts and Berg to flee, but Variety reports on escalating “tensions” in the show’s writer’s room over the last few months. Season two of Discovery is expected to air some time in 2019, although given how many delays it faced during its similarly chaotic first time around, who can say for sure?